Taking a break from treating cancer and making cocktails, IBM’s Watson is now turning its attention to how people write. The supercomputer has been trained to judge the tone in people’s written messages—and can even give feedback about how to change it. The IBM Watson Tone Analyzer sifts through passages of text to identify the emotional and social tone contained within, as well as the writing style. It can work out if the passages is cheerful, negative or angry, and then classify it depending on the openness, agreeableness, and conscientious of the message. Finally, it’ll describe how analytical, confident or tentative your writing style is. 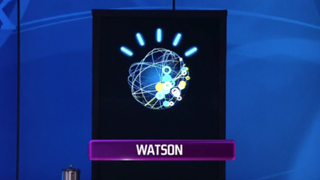 That all allows you to tweak the text, with Watson making suggestions about which words can be changed to tweak the tone. The idea is to help guide people to write content that better suits their needs. Think of it, I suppose, like a spell check for tone. Maybe you’re crafting a letter to break some bad news: Watson could help you make sure it was very agreeable and not too cheerful. For fun, I analyzed the text from the last feature I wrote. The verdict: it was very agreeable, concientous and open, and not at all angry. I’m not quite sure what to make of the results, other than that I can probably afford to be more negative in my writing. Still, the tool is in an experimental form, so the output could improve over the coming months, potentially providing more insight than it does currently. For now, it remains a bit of a novelty.